A video showing German Chancellor Angela Merkel responding to a young Palestinian refugee has received a lot of attention in the press and in the social media last week. Reem Sahwil, a teenage girl whose family still faces the threat of deportation after four years in Germany, described her situation in some detail and eventually started crying on the air, prompting Ms Merkel to try to comfort her, all the while staying firm in her defense of the policies that have been causing Reem so much grief. Most of the responses I’ve seen were critical of Angela Merkel, often describing her as cold hearted and her response as clumsy and insulting. The largely critical response also seems encouraging. As Andy Hallman pointed out in another Facebook thread, it’s not far fetched to imagine how commenters could have instead been “flippant about the little girl’s suffering”. The great news is that a much more commonly expressed response has been anger at the unjust treatment of this young girl. The not so great news is that a lot, if not most, of the criticism focuses not on the policies, but on morally trivial aspects of Ms Merkel’s interaction with Reem. An 88 minute long program was filmed on the 15th of July, which shows Chancellor Merkel talking politics with 29 teenage students of a school in Rostock. At one point the moderator passed the microphone to Reem Sawhil, asking her to tell her story. Reem explained that she is a Palestinian who had moved to Germany from Lebanon four years ago. She has found it easy to assimilate as people have been nice to her at her school and she likes her new home, but she has recently become aware that other young refugees have a much harder time. Ms Merkel complimented her for her flawless German, and Reem explained that she loves languages and has also greatly enjoyed learning English as well as some Swedish, and that she will take up French next year. Reem then explained that her family still had not received a residence permit, and that her father remains banned from working in Germany. Probably in anticipation of Reem’s participation in the TV program, her family members had started asking why it is that foreigners aren’t allowed to work as easily as Germans, and Reem had tried and failed to find any answers. She then explained that her family had recently gone through a rough time, as they had been on the verge of being deported. Reem said she had been feeling very bad and that her teachers and friends had all noticed. Ms Merkel asked what the current situation was, and Reem explained that they had received permission to stay for the time being after some bureaucratic hoop jumping, but were still waiting to hear back from the immigration authorities. She then said how much she misses her family members whom she has not been able to see in four years. Ms Merkel explained that the policies in place require that the authorities examine whether refugees have a legitimate reason to want political asylum. She said that policy makers have recently been discussing the issue of refugees being found to have an insufficient claim to asylum only after having spent several years in Germany while waiting for the authorities to make a decision. Here she asked Reem whether she had come to Lebanon from Syria, which Reem said was not the case. She then explained that, while Palestinians in Lebanese refugee camps were clearly not well off, many other people live in political circumstances that are even worse, especially people in war zones. She repeated that it is a serious problem that refugees in Germany often have to wait for a decision for such a long time, and stated that measures to make this procedure faster are now under way. She added that they would not let all refugees from Lebanon in since they have to prioritise for people who come directly from war zones. Reem then said she has a great desire to study in university, and she finds it tough watching her friends enjoy their lives and prospects while the uncertainty about her future deprives her of such enjoyment. 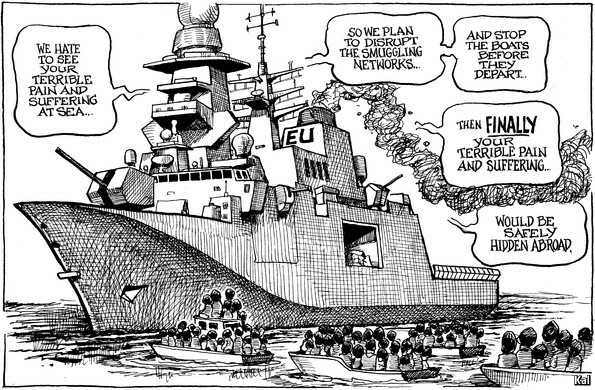 Ms Merkel said she understands this, but that she cannot simply grant her wishes. Politics can be tough, she said. And while she happened to be face to face with Reem at that time, and Reem happens to be an extremely likable person, there were thousands upon thousands of other people in Lebanon and elsewhere, and that if “we” told those people they can all come, “we wouldn’t be able to handle it”. The only answer they can offer, she said, is to make sure the procedure does not take so long. But, she repeated, many would have to go back, too. The moderator then suggested to Ms Merkel that she remember Reem’s face and hold it in memory when making policy decisions on these issues. He asked her how quickly the authorities’ decision would be reached in the future, and Ms Merkel started telling him that she thinks the vast majority of cases that have been pending for more than two years would be processed within one year from now. I know this is what she went for saying because she stated it later in the program, but here she stopped mid sentence as she noticed Reem was crying. She then walked up to her and stroked her back, telling her she had done great – suggesting, perhaps, that she took her crying to be from nervousness after having opened up on television. The moderator said he didn’t think it was about how well she’d done but about the toughness of her situation. Ms Merkel said she knew it was a tough situation, and that she nonetheless wanted to stroke her because “we” do not want to force people like Reem into such situations, and because Reem has it hard, but also because Reem had described so well, for very many other people, the sort of situation one can end up in. On the 10th of July (five days prior), a set of new laws had been passed, pursuant to which Reem will very likely be able to stay in Germany. These laws may not protect her parents from deportation, however, and also aim at deporting more refugees more quickly in the future. They also state that refugees can be incarcerated for up to four days prior to deportation. I think Ms Merkel has been unfairly accused, by very many commenters, of having been very harsh toward Reem in this encounter. And, in solidarity let’s say, I will begin my comments with some harshness of my own. Obviously Reem is in a difficult situation, and I think the policies that put her in this situation are severely immoral. She has the right to live in any housing that a landowner agrees to rent or sell to her or her family, and her father has the right to work any job an employer or customer agrees to pay him to do (as does Reem, for that matter). Violating these rights without sufficient justification is wrong. Yet, if we’re looking for a representative human face for the receiving side of the cruelty of migration restrictions, that face is not Reem’s. Reem is far too well off. If you think to say this is to belittle the toughness of Reem’s situation, ask yourself whether you may be belittling the hardship of the many millions of people who have it far worse than her. The policies might be wrong in different ways, but I think that the idea to completely abolish any prioritization (currently Syria > L[e]banon > Albania) is more wrong; I believe that the capacities should be increased, but as long as the capacities are not unlimited (and that simply won’t happen – and if so, soon after that a party would be elected which drastically reduces it), prioritization is better than no prioritization. I believe that the debate is overemotionalized, which is bad for the refugees; I think it is remarkable how Merkel addresses the topic of prioritization in an honest way after having [made sure] that the girl is currently not in a desperate situation. Ms Merkel did no such thing. But she was forced to stop mid-sentence, and muttered “oh Gott”, on seeing that Reem was crying. Did the author mishear? She did not mutter “oh Gott”. But a much more important point about many such criticisms is that, even if they were fair, they would be unimportant. Had Ms Merkel actually lost her composure, or been particularly clumsy, or had she actually been cold or condescending toward Reem, even, those things would not be worth a fraction of the outrage so many have invested in these accusations. Has Ms Merkel done anything wrong? Yes. She defended immoral policies. But note that these policies have been around for many decades. There’s no news here. Note, also, that these policies are overwhelmingly supported among the electorate. They’re not exactly her doing. And when she says that “we wouldn’t be able to handle” a massive inflow of immigrants, that statement can be quite reasonably defended on the basis that so many natives might respond to this inflow in seriously disruptive ways. (E.g. see reports of arson attacks and shootings here and here.) Spare some blame for those less prestigious agents of representative democracy, too. When billions of foreigners have been victimised by the restrictionist policies of (far) more tolerable countries for such a long time, why make such a big deal out of Reem? In many cases, the reasons may well involve territorialism: Foreigners enjoy a lot more sympathy with respect to their desire to immigrate once they’ve already settled in the receiving country, even if they did so illegally. That Reem has been living in Germany for four years is sure to win her a lot of support, even though it also makes her such a “lesser victim” of the policies. The fact that she’s clearly bright and academically ambitious should win her further support from the many people whose pro-immigrant sentiments extend only to highly skilled individuals. One tension I observe in immigration policy is that a lot of people support harsh policies in principle, but when confronted with the human impacts of their actions, they waver and demand an exception for that specific instance of harshness they’ve encountered. This is especially common on the left — in the US, the left’s reaction to the child asylum-seeker influx was basically spineless, since they refused to meaningfully alter US immigration policy, but demanded lots of exceptions for the children. A somewhat similar response materialised from the compassionate right as well (where they didn’t demand policy changes but offered charitable aid for the children). For all the problems with the many reactions to the video, I think it’s fabulous that many people at least recognise the cruelty of deportation, at least when it’s given a likable human face, at least when that face belongs to someone who’s already put down roots in the receiving country. I hope the video makes a lasting effect in this regard. Who favors open borders? by Nathan Smith reviews data from the World Values Survey on attitudes to open borders in various countries around the world. Germany is ranked #31 of the 48 countries surveyed. My thoughts on Jose Antonio Vargas and Define American by Vipul Naik covers some ground similar to the present post: it looks at how the current undocumented migrants are not the ones who would most benefit from a regime of free migration, and how their stories, evocative as they may be, are not the ones that should attract the most sypathy. A response post Why Jose Antonio Vargas Matters: Making Human Rights Real by Nathan Smith noted that these stories, even if not the most evocative, still play an important role in making concrete the intuitions underlying human rights and the applicability of these intuitions to migration. Junk the international refugee system, and open the borders by John Lee provides an overview of the international refugee system and how it fails to offer the protections it grants on paper. He suggests open borders instead. See also the follow-up post Literally refusing to rescue drowning people: your taxpayer funds at work, putting immigrants to death. How Undocumented Organizers Can Lead the Way to Open Borders by David Bennion. See also his follow-up blog post In 2013, the Dream 30 Fought to Come Home. How do open borders meaningfully differ from mainstream “immigration reform”? by John Lee looks at the similarities and differences between mainstream immigration reform supporters and open borders advocates. See also The dearth of moderates’ critique of open borders by Vipul Naik. 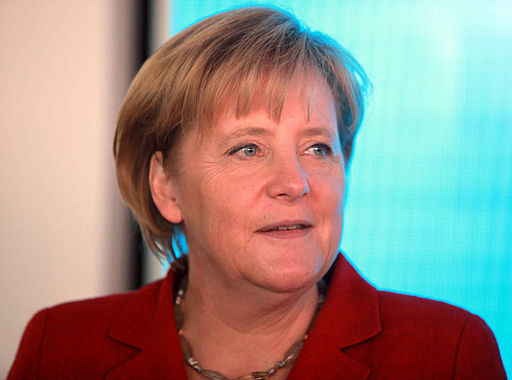 Note: The featured image of Angela Merkel is from author Kuebi = Armin Kübelbeck on WikiMedia Commons and is licensed dually under Creative Commons (CC-BY-SA) and GFDL. You can get more details here. Angela Merkel and the crying refugee, and the search for a human face of the costs of migration restrictions is licensed by Sebastian Nickel under a Creative Commons Attribution 3.0 Unported License.